Age of Tribes – new version! Infiltrate, investigate, and escape. Step into the world of a super sleuth in this espionage puzzle-adventure. You have accepted a mission to save the world from the threat of a top secret super weapon. An engrossing single player campaign and ultra competitive multiplayer gameplay await you in Secret Agents! Infiltrate offices and secluded country estates to find hidden information about the nature of your enemies…or even your friends. 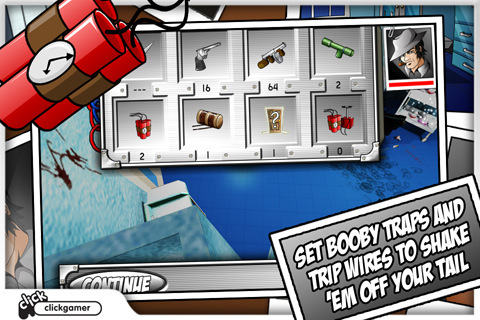 Leave no stone unturned and no filing cabinet unchecked as you work your way around the map. 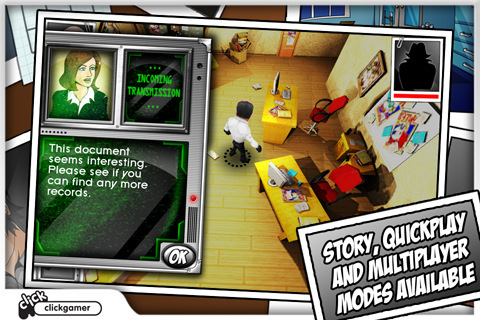 Find the documents, then find the exit-but be careful, you may not be the only spy on a mission. Will you complete your mission and remain undetected? 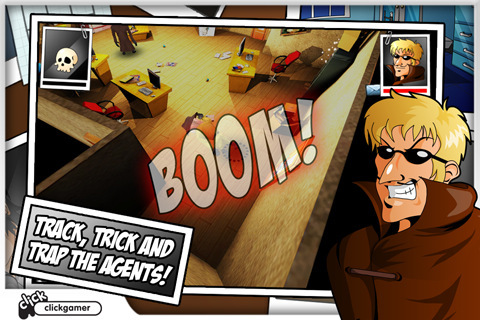 As well as the engrossing single player campaign filled with many twists and turns, Secret Agents! Has a multiplayer experience that works with iPhone v Mac or iPhone or iPad! 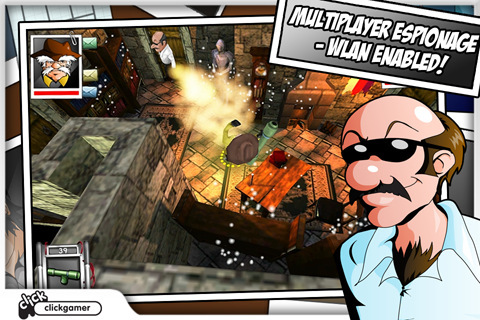 Multiplayer over a WLAN ( all players and devices will need to connect to the same access point) lets you face off against your friends – race to get the documents and escape first, but you had better look out because your opponent is also on the hunt and will do anything to compromise you. Sometimes detection is unavoidable. For times like these, every agent needs something to get them out of a squeeze. In Secret Agents! You have all manner of gadgets and gizmos at your disposal, ranging from the classic revolver for a close range gunfight to a tripwire detonated explosive for taking out your target with a bit more of a bang. 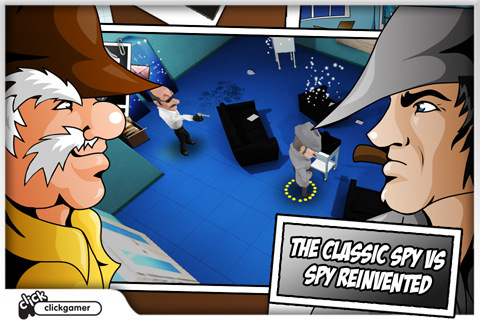 Lay down Crystal challenges to your friends and see who the number one spy is! Search for the documents as fast as you can to beat your friend’s time and prove you are the top agent. Dieser Beitrag wurde unter Games veröffentlicht. Setze ein Lesezeichen auf den Permalink.